WORLDWIDE: More and more large wind farms have been connecting to transmission systems around the world in recent years. These wind farms are usually required to comply with the grid code of the system to which they are connecting, which varies from country to country and sometimes even from region to region. These codes place responsibility on all large power generators, including wind farm owners, to support the stability of the grid, which means that wind turbines must incorporate specific features so that they can withstand certain situations on the grid. The most important of these are lowand high-voltage ride-through, which defines how the turbine responds in the event of high and low-voltage situations on the grid. Power factor control, which regulates the power output from the turbine, is another key feature. Historically grid codes were written for large centralised generation, and as a result small wind farms delivering to small distribution networks have often not been required to meet the rigours of low-voltage ride-through (LVRT). However, in Europe there has been an attempt to simplify and harmonise the myriad of national grid codes into a single Europe-wide code. 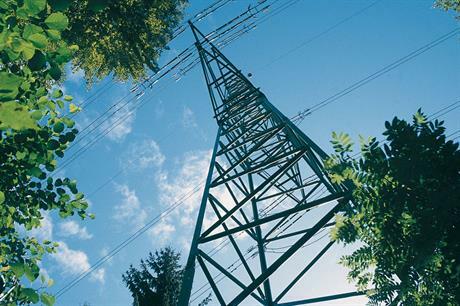 The development of this code has largely been down to the recently formed European Network of Transmission System Operators for Electricity (ENTSO-E) and drafts of the code to date suggest that the requirements of LVRT may be cascaded down to smaller generators, connected at much lower voltages. The scale and extent of retrospective application of these new requirements will become clear in time. LVRT is perhaps the most important grid code requirement to have influenced wind power over recent years. Low-voltage situations occur on the grid through natural phenomena, such as falling trees, storms or ice, equipment failure or human error. All typically lead to high-voltage lines short circuiting to ground. It is therefore imperative that under these circumstances transmission systems remain resilient to such faults. As large wind farms become a greater part of these systems, they are required to contribute to system stability in three ways. First, the wind turbines must aid the transmission system's protection devices by injecting reactive current - a current that does not provide active power but helps the stability of the system during a fault, and which helps to protect against peaks in the current. The wind turbine reactive current output must also support the voltage in parts of the transmission system that do not have the fault. And, finally, the wind turbine must rapidly recover to normal operation after a fault has been isolated to ensure that the transmission system does not suffer a supply shortfall in the aftermath of such events. The requirement for wind turbines to ride-through a grid fault represented a significant challenge to early wind turbine designs, which were mostly equipped with induction generators directly connected to the grid, without a power converter. That direct connection of the power generator to the grid meant that a sudden loss of voltage on the grid corresponded to a drop in the ability to export power, and that in turn led to a mechanical shock on the turbine's drive train as well as a gradual acceleration of the wind-turbine blades. Early turbines of this kind tended to trip during such faults - a response that often led to a power shortfall within grids with a high proportion of wind power. Now, with greater contribution from wind farms, it is no longer acceptable to allow wind turbines to merely disconnect from the grid in the case of a transient event, as once the event clears, the grid system could then be left with an irrecoverable deficit in supply capability. Grid compliance now requires wind turbines to be fitted with electrical systems, such as power converters that control the behaviour of the generator during and after a grid fault. Converters operate in two stages - stage one is a rectifier that connects to the generator and converts the variable frequency AC current from the generator into DC current. Stage two converts the DC current back into AC current, this time at the grid's frequency. Converters for doubly fed induction generators (DFIG) only require the power converter to be rated for a fraction (typically a third) of the machine's rating. The power converter sits between the rotor and the grid, so only the rotor's share of the power passes through the converter. It is the direct connection of the generator's stator (stationary part) to the grid that complicates LVRT compliance, and the power converter itself must be protected against over-voltage. This was traditionally achieved by using a crowbar circuit to short-circuit the rotor at the onset of the fault, but this produced damaging mechanical stresses in the drive train. Today, there are doubly fed converters that completely avoid the need for a crowbar, actively controlling the wind turbine during the fault and hence minimising mechanical stresses. In contrast, the other generator types require a fully rated power converter connected between the generator stator winding and the grid. With this in place, however, the whole generator is decoupled from the grid and power-converter control for compliance is comparatively straightforward. With full converter wind-turbine designs, during LVRT faults the power converter can divert all the generator's power from the grid to a brake resistor, relieving the mechanical system of variable torque, protecting the turbine's drive train and gear box, if present. Additionally, it ensures that the turbine blade speed does not increase during the grid fault, and reconnecting the turbine after the fault is simply a case of diverting the power back to the grid. The use of power converters in wind turbines offers benefits beyond merely LVRT compliance - they allow variable-speed operation for maximum power capture during partial winds and allow mechanical decoupling between grid events and wind turbulence. The deployment of power converters in wind turbines has also permitted the use of alternative generator designs such as permanent magnet generators for improved efficiency and, in the case of direct drive and to some extent medium speed drivetrain topologies, a mechanically simpler system. Furthermore, the grid-connected power converter can switch from supplying real current in normal operation to reactive current during a fault in a matter of milliseconds, which is well under a grid mains cycle. This current is only limited by the converter capacity. This reactive compensation support helps to stabilise the grid, so much so that, where it was once assumed that wind power on the grid would be limited because of instability, it has been suggested that by using power converters, wind penetration can actually help to stabilise the grid. Grid codes are becoming more sophisticated as power generation continues to diversify, and grid operators continue to impose new requirements on all large generators, and the core technology in these solutions will be tailored to meet any further developments. As grid codes capture more and more wind-farm developments, transmission system modernisation poses a further challenge to wind farm developments. Resilience of the transmission network can be increased with mechanisms that automatically reclose the system. However, as they attempt reconnection of faulted lines, they can also expose connected generators repeatedly to the grid fault as the line is repeatedly energised and tripped until the fault is cleared. Synthetic inertia emulation, where wind farms emulate the behaviour of conventional power plants - automatically increasing their output in response to frequency falls - has the potential to compensate for grid power imbalances by thus stabilising the system following generator losses. To date, the controllability of power converters has enabled wind turbines to meet these and other challenges as they arise, making wind energy a fundamental part of the power generation mix. Dr Ross Hall is a wind application engineering leader and Dr Dominic Banham-Hall is a senior power systems engineer at GE Energy Power Conversion.